Assmble sushi rice with fresh salmon on top. 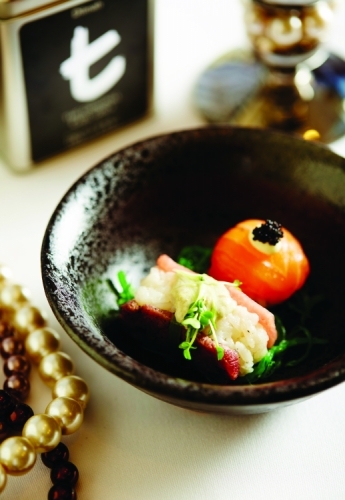 Assemble in the same manner, sushi rice with grilled wagyu beef and torro sashimi. Sandwich. Duo sushi served with mayonaise , soya and wasabi.